And I lost it. Not enough of a frame for me, but nonetheless, let's not get too pessimistic. 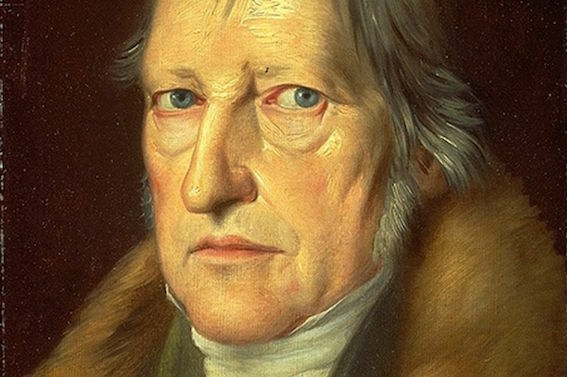 If we take into account the pursuit of Hegel's philosophy to resolve everything to its end, how come it is still able to posses structure instead of crumbling into itself? I think one must attribute this to the gaps; so this leads us to the figure-ground/chicken-or-the-egg problem; what is more important, what was first: philosophy/structure/wissenschaft or the gaps/the incomprehensible? As interesting and absolute as this problem seems it may be of little importance in itself unless we can render it to something a bit more 'earthly'; for instance: How does it relate to morals/primordial good and evil? But to return to the notion of crumbling. When does a philosophy/wissenschaft begin to crumble into itself, and when is it standing; does it not all the time contain this crumbling (or at least the notion of it) in itself? For instance, is not the concept of Now nothing but this crumbling into itself? So the question is how does this concept of Now manage to maintain, despite the crumbling which seems to be the essence of it? Well, it must be due to this unconnectable gap between now and the last/next now; because although they are the same nows, and they stand next to each other, they just cannot be connected, merged or a little shifted, because of the notion of greater Now they impose. This notion takes one of them and makes it a subject, while other remains an object, and so although they remain the same, the multitude of them makes them different, and thus multiple; and we are back at the chicken-or-the-egg problem. So we get this structure, but without a zero point, without an anchor. It's like if two dimensional fractals actually have somewhere between one and two dimensions and if thought has only one dimension (that of cause and effect), then this structure lives somewhere between zero and one dimensions (effect effecting the cause). So with this established let's look at how it renders itself in physics. There we get instead of one (if we ignore absolute knowledge), two ends of the thread. One micro and other macroscopic: neutrinos and galaxies. So far, if we look at the material world as less pure than the spiritual (ideological), it makes some sense for it to have more ends. It also makes sense that the closer we get to the ends, the purer and at the same time more contradictory the forms get. But the question that poses itself here is: Is there a gap between the ends and the forms or do the forms gradually morph into the void? And since this is a 'lesser' world, will it tell us anything about the (non)existence of the primordial gap in the philosophical domain? Of course the last question smells, but let's examine the different possible answers that physics as such is capable of giving us: discrete vs continuous basis, singular vs multiple universes, infinite vs finite universe... So it gets clear pretty quickly that physical explanation of the world at its ends automatically contains the philosophical aspects. But nonetheless (or because of it), the big question for/on both sides seems to be the existence of the zero point and its relation to the void/non-existence. Is zero point same as void? But how can a point be a void at the same time? Is void not the opposite of a point, no matter from how far we look? If there is no zero point, then why does it seem like everything is pointing toward it? To get a bit more metaphysical; Is not the first and only thing such entity as zero point can "do", to destroy itself by splitting into two parts, which of course cannot anymore be zero points, but one positive and other negative part of it? But since this jump looks like a necessity, is it not still in a way a part of the zero point? I would say no, because it already incorporates something like a decision: Which part becomes positive and which negative. This might seem like just a problem of naming things, but from where do we then get this notion of positive/negative? If it is from some later "event" down the line, how was then this primordial jump even possible? But nonetheless maybe we are moving too fast here, specifically: Even though the primordial entity splits itself into two parts, and by definition this parts cannot be equal, because that would mean the entity multiplied itself, which would be impossible at this stage (because of the lack of space for two of them :) and thus it can only split itself into two opposing entities, the "sum" of which should be equal to the entity itself; Nonetheless does the notion that they are opposing already imply that one of them specifically is positive? Maybe, but it certainly doesn't imply which, because they are also the same. Of course here we are already not only in domain of neutrinos, but also in part in that of electrons. Although an electron cannot freely change into another particle; nonetheless the electrons themselves are indistinguishable among themselves - one is totally the same as the other (so it is meaningless to discuss for instance how many electrons that were once part of Buddha on average does a person contain in its body) - what keeps them in "order" is a law of conservation. But again, we are moving too fast here. We should examine the nature of the two Opposites some more. Precisely them being of the same "matter", same ancestor, same cause, conceived at the same moment and still being different, maybe more accurate; being opposite. The question is from where does this concept of opposition stem. Is it already inherent in the Entity itself, or does it somehow emerge by itself from the impossibility of the Entity to "do" anything? Is thus the Opposition not in opposition to the Entity itself? The moment of its emergence is itself in opposition to the Entity, and since this would mean the surplus, the original Entity must at the same time vanish, thus leaving the Opposition by itself, what then renders the two opposites, but also the opposition in the situation itself (namely parts being the same, but opposite at the same time), which is the actual surplus that we get from this split/jump. A quick and jumpy conclusion from this would be that the wheels are set in motion from the start and the Jump is in its nature a discrete event and thus the singularity unattainable by gradual deduction. And that the most primordial thing/idea that is accessible to us is that of opposition. And that it would actually enable us to grasp the singularity in its entirety if it was not for the opposition that it poses to itself by making the same at the same time opposite. This surplus sets the wheels in motion, which makes it impossible to observe the singularity, also because we need the surplus at the first place to observe. This of course nicely parallels itself to the nirvana experience, in which we have to lose more and more "stuff", until at the end we also have to let go of the observer. So one of the questions that poses itself here is: What is the connection between good and evil and this two primordial opposites (and their surplus)? In a way good and evil are the highest abstractions for the humans. We use them to substitute for us what is most important to us, although we always have trouble labeling "stuff" with one or the other. We are also frequently questioning is it at all possible to bucket stuff this way; nonetheless the notion of good and evil is as present as ever. So to tackle it systematically, we have basically two possibilities: Are the two Opposites themselves good, because they themselves together alone are the Entity, and the surplus that stems from them evil (Buddhism)? Or the other way around (Judeo-Christian view - glorification of falling into)? Let's say that we identified an anchor of the two different (opposite?) moralities. How do we then get from this anchor to the other less general rules of morality (10 commandment, Buddhist basic morality, ...), which are if we look at the world actually more general and present throughout cultures. Namely: Don't: kill, steal, be greedy, (angry, delusional), lie, slander... One explanation would be that these rules are helping in maintaining larger societies and thus help in propagating themselves. So they are but the stage for the deepest morality which is one of the primordial ones, namely Buddhas: Don't conduct in sexual misconduct (excessive passion) vs Biblical Thou shalt not commit adultery and Thou shalt have no other gods, which of course also serve the cause of propagating and same is with Buddha. So by accepting this explanation we basically diminish this laws to the simple universal state laws, but at the same time we see between their lines their true meaning, namely them taking sides with either the two Opposites or their excess. Two things of interest arise from here. First is, if the majority of morality is strictly utilitarian in a sense of trying to propagate itself, how would morality look in a world where opposite actions are necessary for a morality to propagate itself; namely: killing, stealing, lying... (of course inside of a community itself). But more interestingly, last distinction between essential/primordial part of morality and its utilitarian/reproductive part gives us a chance to parallel the two moralities and their common parts with the two Opposites and their excess. This is getting a little confusing. Again: We have two opposing primordial moralities, and they form the excess which manifests itself in common moralities, which the two share. So if we look from Judeo-Christian perspective to this structure, we favor falling in/sticking with them/embracing them, and from Buddhist perspective we try to "acquire dispassion for them". So from both perspectives, (common) moralities stand for a kind of a ladder, the only question is which direction is up, where should we climb? So are we to put them on the altar, embrace them fully again and again, let them shape our existence and follow where they lead us (thus basically abandoning their original context), or should we grow more and more dispassion for them, not abandoning them, but paving our path with them, thus giving less and less thought to them as we move forward (backward) with their help?